Interview follows a film crew while they sort through interviews to make a movie, which may or may not be a documentary, about destined love. 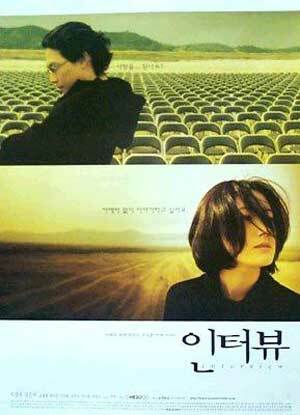 In the process, the director within this film, Eun-suk (Lee Jung-jae) seems to be destined to fall in love with one of the interviewees, Young-hee (Shim Eun-ha). We learn through a purposely disjointed narrative that this may not have been when Eun-suk met Young-hee for the first time. Added to this temporal disorientation is further doubt in the events unfolding since Young-hee is as unreliable in her interview as Eun-suk is silent about his past.